You are not going to believe the insulting email I just received from an individual in our community. As you may know in addition to doing male-to-female makeovers since 2013 this year I launched a 1-on-1 Skype Crossdressing Consulting Service. I recognize that many in our Crossdressing community are in a painful Closet filled with shame and guilt. These girls want assistance in gathering tips on how to become their best femme self but don't know where to turn to. That's were I think I can be of service. 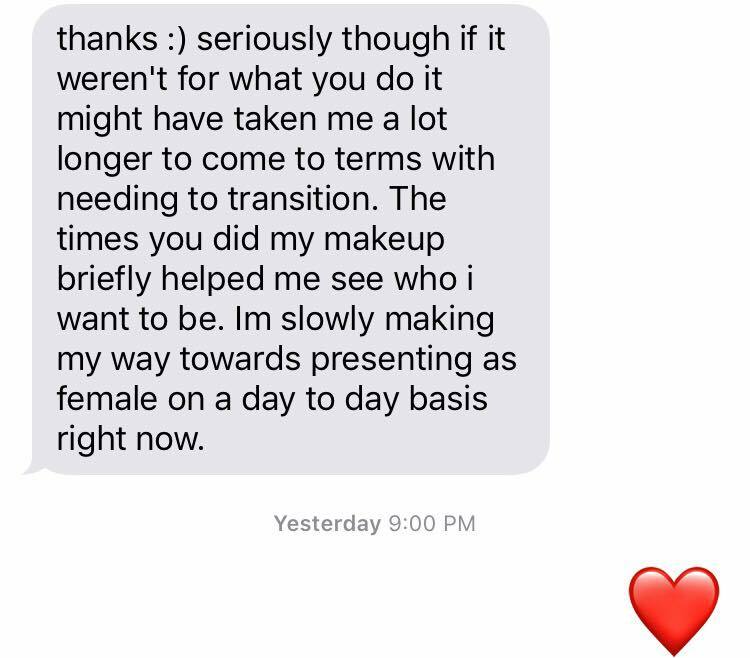 My clients can tell you firsthand how before, during, and after their makeovers I go above and beyond in helping them achieve the femme look that fills them with joy. I won't lie to you, it's a lot of man hours prepping, doing their makeup, styling them, doing their photo shoots, and doing post production on their photos. That being said, seeing them come to life, and in some cases helping them come to terms with their gender identity is beyond rewarding. This is why the email I received today was especially hurtful. 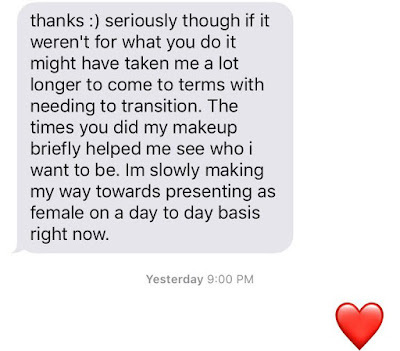 Backstory: Two days ago I received an email from an individual wondering if I'd be coming down to Georgia in the near future since they would love for me to give them a makeover. When I told them that I don't have travel plans but that I could assist them via Skype Session she was onboard...that is until she learned that this is a paid service. When she expressed that she doesn't have the funds to pay for a Skype Session I told her that I am in the process of finding the time to take-on pro bono clients. 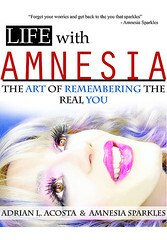 "Amnesia sparkles I am going to stop watching your videos completely because you are all about making money and not just for your fans so i am going to quit receiving your videos on YouTube completely and I am no longer going to be a fan of yours thank you"
It saddens me to hear you don't understand that I provide a service. It especially saddens me that you said what you said to me after I mentioned to you that I am attempting to find it in my busy schedule to do pro bono work. What you said to me would you say to your barber, hairdresser, or makeup artist? Would you expect them to provide you with their time and services free of charge? I was considering taking you on as a pro bono client. I no longer consider giving you my time. You have closed that door with your erroneous assessment of me. I have a list of other college girls that at this point deserve my pro bono services more than you. You can count on me giving them, and not you, a call free of charge. I won't lie to you, I like to think that I am a strong person but her email really upset me. I think what upset me the most is the thought that this person doesn't understand that like most of us I too have bills to pay. I love serving my girls in the Crossdressing community because we have similar sensibilities. I dress in femme too you know. I understand first hand the struggles we go through day-in and day-out presenting both in male and female form. And I understand the struggle of juggling both worlds. I could easily do makeup and photography on non crossdressers (like I have in the past) but serving the Crossdressing community is more than just a job for me, it's a mission, it's my passion. My clients can tell you how I relish during my photoshoots with them when I see their femme self come to life. I know it's a thrill for them to be in femme. It is an equal thrill for me to help them reach their goals and to witness it. But as you know, I still have bills to pay. And I as an immigrant in this country I believe in working hard and putting-in the hours to earn my meal. I understand this person's perception of me, even though they are dead wrong about their assessment about me. In the end the list of girls that cannot afford my services and would like pro bono work is long. I will focus my energy on them since they would be grateful for what I can offer them. I will call them before I ever call this individual.